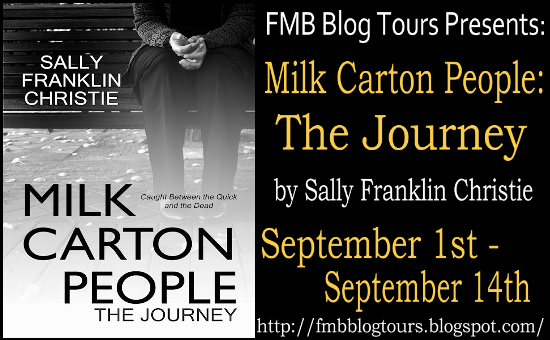 Welcome to my stop on the FMB Milk Carton People: The Journey. I have for your viewing pleasure an excerpt and a guest post from the author! Enjoy! Milk Carton People is a paranormal thriller about people who suddenly find themselves invisible, able to observe things but unable to participate. Do they go mad? Maybe they find others. It is quite possible that there is no point in being invisible. This is a book that plays on the very thin line of sanity and pure despair. The characters act and react to the new challenges and the reader gets to go along for the ride. I’m going to wake up, now, and go about my day with my cup of coffee. By the time I get to work, the whole thing will disappear like all dreams. I won’t even remember it. She turned away from the little tree and took a few steps down the sidewalk. She intended to turn back toward the book store again, to somehow retake control of her destiny. As if turning back would give everyone one more chance to tell her it was all in fun and she was such a good sport. Just then, a woman in an electric blue colored coat, walked right into her. “Excuse, me,” Ruth began and stopped speechless. For one long, drawn out, slow motion, nightmare second, her vision was obscured by a brownish red filter which blurred everything before her. She felt hot, sticky, and confined. A cloying odor of spoiled hamburger made her gasp for clean air. She tasted copper pennies in her mouth. At the same time Ruth heard a gurgling noise and a squeak and as the whole event suddenly ended she heard a plop like pudding falling from a spoon back into the bowl. A sudden cold sweat competed with stomach acid lurching into her throat. Ruth swallowed it back and turned to watch as the woman in electric blue continued walking down the sidewalk without breaking stride. Ruth watched the woman in the electric blue coat disappear around the corner. She walked to the nearest building and stood close to the cold bricks in the shadows. Milk Carton People is told through the eyes and mind of Ruth. The seed for Ruth was planted as I observed a waitress with Ruth on her nametag. She was very nondescript, average in every sort of way. I took Ruth home and imagined a back story for her and gave her a disability. I gave her a back story. As a person with a disability she lived her social life in some isolation. Children can be very mean or busy and she was often left behind. This isolation is probably what kept her sane as the story began to form. I began by plopping Ruth on a park bench before work. She nods off and when she awakens life as she knew it was forever changed. She had become invisible and unable to interact with the physical world around her. People walked right through her and she began to adjust. Why was she invisible? Was she dead? Where was her body? She muddled for a long time before she found others that were like her. She left her isolation and became part of a small group of equally confused people and began to cope with the new world. Ruth never had an easy time but she gained some strength and understanding of other people and their coping skills. Ruth remains nondescript but she does evolve and adapt. If she comes back in another book she will no doubt have made herself into a very memorable, capable and confident leader. Sally Franklin Christie has spent her life achieving incredibly average goals. Her challenges and choices have led to into the world of organizing for social change, civil rights and helping people navigate in a world filled with physical barriers and discrimination. She photographs and paints landscapes, when she isn’t at the computer researching, networking and writing. Special interests include Missing Children and Adults, Astronomy, Character Traits and Criminal Thinking. A home schooling mother of children born eleven years apart has added to her liberal arts education. She’s had plenty of time to practice and refine the art and craft of writing coupled with opportunities to learn the marketing aspects of writing. She interned for a spell at WOW-Womenonwriting.com and currently has a position as a moderator at The Writers Chatroom. Various published articles appear in places like Pangia Magazine, Creations Magazine and other almost forgotton places. 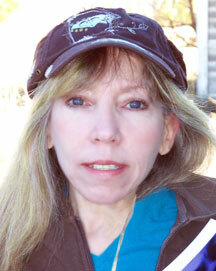 She writes one novel a year as a NaNoWriMo Participant and keeps a more serious project simmering year round.